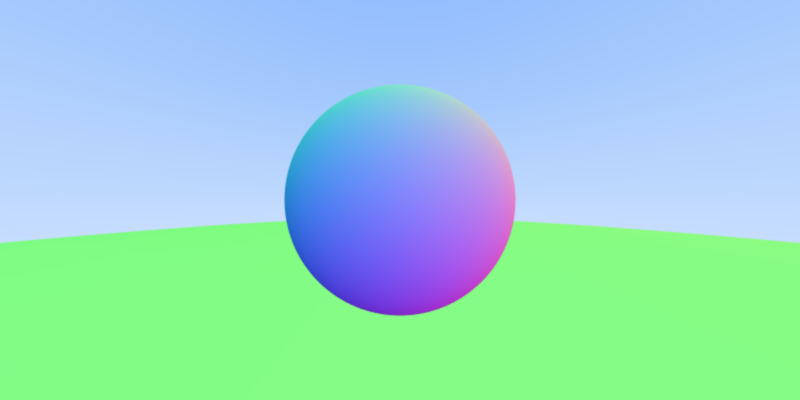 Let’s continue working on our ray tracer and pick up where we left off last week. I want to thank Caroline, Jessy, Jeff and Mike for providing valuable feedback and performance improvement suggestions while working on this project. First, as usual, we will do some code cleanup. In the first part we used the vec3.swift class because we wanted to understand the underlying data structures and operations between them, however, there is already a framework called simd which helps us do all the math we need. So rename vec3.swift to ray.swift since this class will only contain code related to the ray struct. Next, delete the vec3 struct as well as all the operations at the end. You should only retain the ray struct, as well as the color function. Much better! In my case the running time went from 5 seconds down to only 0.1 seconds. Ok, enough with the cleanup. Let’s do some graphics instead! We would like to draw more than just one sphere, perhaps way many more spheres. 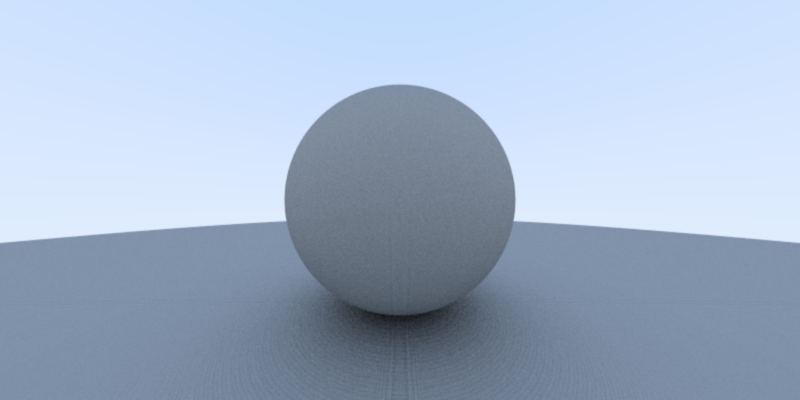 One neat trick to simulate the horizon if to draw a really huge sphere. Then we can put our smaller sphere on top of it to achieve a sitting-on-the-ground effect. Nice! If you look closely you will notice the edges exhibit the aliasing effect, and this happens because we do not have any blending of colors for the pixels on the edge. To overcome this, we need to sample the color multiple times by randomly generating values that are within the range we want, so we can blend them together and achieve an anti-aliasing effect. If you forgot to decrease ns from 100 to 10 your rendering took somewhat around 18 seconds! However, if you decreased the value, the rendering time is down to only about 1.9 seconds which is not too shabby for a basic matte surface ray tracer. This image looks great, however, we can also get rid of those small ripples easily. Notice that inside the color function we set Tmin to be 0.0 and this seems to disturb some of the cases where the color needs to be computed correctly. If we set Tmin to be very small but still positive, something like 0.01, you will notice that the difference is highly noticeable! Now, this image looks gorgeous! Stay tuned for the next part of this series, where we will look into topics such as specular lights, transparency, refraction and reflection. The source code is posted on Github as usual.